I was asked to design a flyer that Eclipse could use at career fairs. 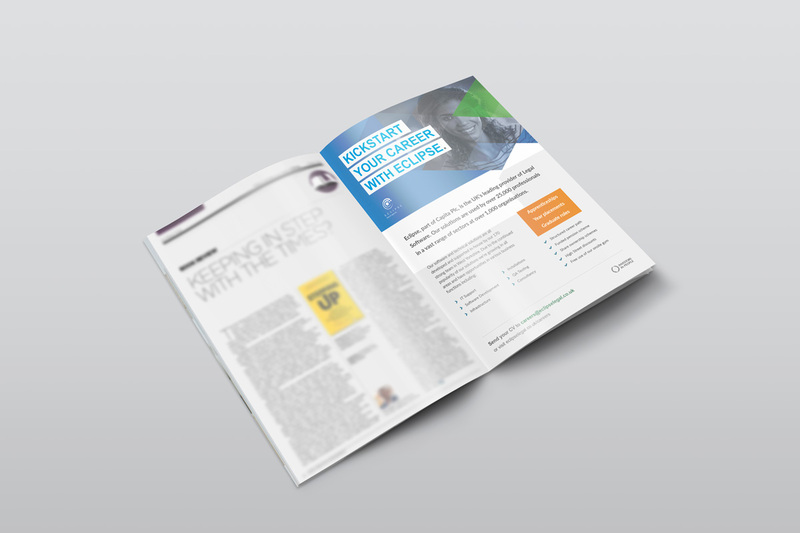 The brief was to create a brightly designed advert that sstands-out from other companies. I opted for a large heading on white shapes so that it stood out from the blue background. There was enough space for other relevant information, along with a call-out-box for other text. 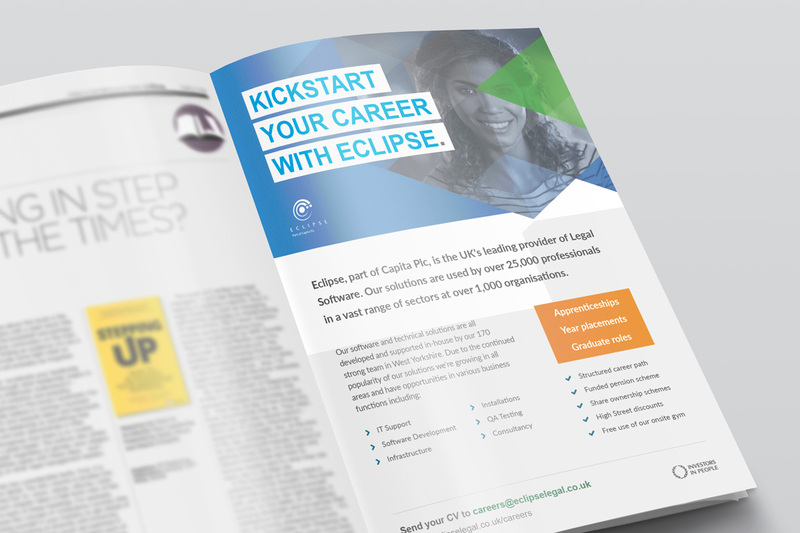 Created whilst working at Eclipse Legal Systems, using InDesign with typefaces from Font Squirrel and imagery from iStockPhoto.